All applicants must apply through LSAC LLM & Other Law Progams at llm.lsac.org. Detailed application instructions can be found here. How will the Law and Entrepreneurship Program enhance my career opportunities? Whether domestically or internationally, entrepreneurs are at the forefront of creating economic opportunity and addressing pressing social challenges. Lawyers are critical to the success of entrepreneurial ventures, but it takes something special to work effectively in this space. The Law and Entrepreneurship Program is designed to expose you to the tools and thinking you will need to build your career in this field — whether in a law firm, in-house with a company, or even as an entrepreneur yourself. Entrepreneurial organizations are faced with myriad strategic, business, legal and regulatory issues. Lawyers working with such organizations need certain tools to help them negotiate these interconnected issues successfully. They also need the right mindset. The Law and Entrepreneurship Program will help you to take the next step in your career through a carefully constructed course of study that integrates rigorous courses in business, finance, and intellectual property law with a series of challenging experiential courses, encouraging you to develop a deep understanding of the applicable substantive law, proficiency with critical professional skills, and experience working in the creative economy. The program also will give you insight on the sector, and on yourself, that will help you set yourself apart. It will expose you to historical, comparative, and interdisciplinary perspectives on entrepreneurship, providing you with an opportunity to understand how the structure of the law can either facilitate or restrict innovation. And it will challenge you to explore your own potential for entrepreneurship. Through this combination of theory, practice, reflection, and experience, the Law and Entrepreneurship Program is designed to promote the next generation of leading entrepreneurial lawyers. We hope that you will be one of them. How is the LLM in Law and Entrepreneurship different from Duke Law’s LLM for International Law Graduates? International applicants to the LLM in Law and Entrepreneurship must hold either a JD or another LLM from an American law school in order to be considered. However, international applicants who do not meet this requirement may still apply if they are currently active members of the bar in at least one U.S. jurisdiction. This ensures that applicants have the substantive understanding of the U.S. legal system and familiarity with American law teaching that are necessary for success in the LLM in Law and Entrepreneurship program. International students who meet this requirement and who have an interest in this area, as well as appropriate educational or work experience, are encouraged to consider applying to this program. The International LLM program at Duke Law School is designed to introduce foreign law graduates to the legal system of the United States and to provide the opportunity to take advanced courses in specialized areas of the law. The curriculum requirements for the two LLM programs differ significantly, and the International LLM program does not include the practicum experience of the LLM in Law and Entrepreneurship. Both LLM programs are 1-year programs which start in mid-August, and both degree options can be completed alongside the traditional JD in three years. What types of classes are offered to LLM in Law and Entrepreneurship students? The core curriculum requires completion of four courses in law, business, finance, and intellectual property. Along with requiring that you master the substantive law necessary to effectively represent entrepreneurs, these courses provide historical, comparative, and interdisciplinary perspectives on entrepreneurship to encourage you to think deeply about how the structure of the law can either facilitate or restrict innovation. A defining feature of the LLM in Law and Entrepreneurship is the extensive integration of experiential education, giving you the opportunity to get out of the classroom and into practice settings. These experiential courses include the entrepreneurial overview course and a semester-long practicum, in which you will work in a law firm, in-house with a company or a social entrepreneur, with a trade association or another similar setting. It is important that you have the ability to help drive the curriculum of the program in the direction that will benefit you most in terms of your interests and future career plans. As a result, you will be very involved in creating your placement for the practicum and you will define the scope and direction of your capstone experience. Additionally, you will also have the opportunity to select at least one elective course from the Duke Law curriculum or, in some cases, those of other Duke professional and graduate programs. For more information, please see the full list of required and elective courses. Am I allowed to take classes outside of Duke Law? 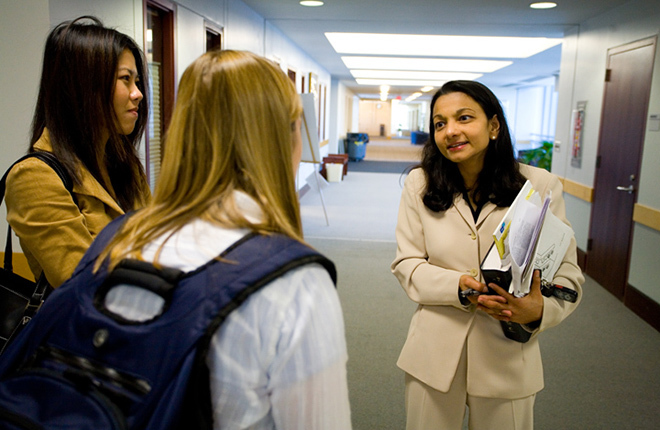 LLM in Law and Entrepreneurship students are permitted to take courses outside of Duke Law with prior approval of the Program Director and the Assistant Dean of Academic Affairs (see https://law.duke.edu/about/community/rules/sec2/#rule2-4). What career planning support will be offered to Law & Entrepreneurship Program students? As a part of the Duke Law network and the greater Duke University community, LLM in Law and Entrepreneurship students have opportunities to connect with alumni and to develop relationships to further their job search. The LLM in Law and Entrepreneurship is for students who apply an entrepreneurial mindset to their careers and take the lead on exploring their entrepreneurial goals, seeking out job opportunities in a dynamic, changing market, and leveraging connections made during the program. LLM students will find that their interest in positions as entrepreneurs, in-house counsel at startups or innovative larger companies, for example, takes them outside of the traditional job placement process for JD students. Please see the career office website for information on resources and career guidance; further questions may be emailed to llmle@law.duke.edu. Where are graduates of the program employed? Duke LLM in Law & Entrepreneurship graduates have found employment with startups, law firms, in-house counsel, venture capital firms, and other businesses. Read more here. Tuition for the nine-month residential LLM in Law and Entrepreneurship program is comparable to the tuition for one year of the Law School's JD program and its LLM for International Law Graduates. The current annual tuition is $63,400, plus fees. Please see the tuition and fees webpage for more information. Is financial aid available to students in the Law and Entrepreneurship LLM program? LLM and JD/LLM candidates are eligible for federal loans; the types of loans that are available will depend on the candidate’s previous borrowing history. Financial aid counselors at Duke Law will be happy to review your needs and advise accordingly. Scholarship assistance may be available; upon being selected for admission, applicants can apply for a scholarship by submitting the Duke Law Scholarship Application Form. What kinds of academic and professional experiences might be useful for an LLM applicant to have? There is no particular set of skills or professional work experiences required for admission to the program. We are looking for driven, creative leaders who want to explore the intersections of law and entrepreneurship and use their legal talents to help build this sector. Coming into the program, it will be very helpful to you to have a strong understanding of business and intellectual property law, as well as basic financial concepts. Other than a desire to learn and a willingness to work hard, however, there are no educational prerequisites. Prior experience working in or studying innovation and entrepreneurship -- whether in a business, nonprofit, government, or other setting -- is likely to be useful. Additionally, a history of leadership, in academic, volunteer, business or other pursuits is likely to be very valuable. If I have been out of school for several years must I still submit academic references? Two letters of recommendation are required to complete your application for admission. (Additional letters may be submitted, but are not required.) We recommend that at least one of the references come from a person familiar with your academic performance; however, references from employers also will be accepted. How can I get more information about the LLM in Law and Entrepreneurship? Be sure to review the Law & Entrepreneurship Program website and degree requirements web pages; if you have more questions, email llmle@law.duke.edu. "The LLM in Law and Entrepreneurship was by far the best thing I've ever done for my career. Obviously, I learned a lot in class, but that isn't even a fourth of what is so great about the program. The number of meaningful connections in my network increased exponentionally from all the networking opportunities that existed for us. I also had several great practical experiences that were direct results of the LLM program: I worked with an uber-promising startup that face-planted pretty quick. That was a great learning experience. I also helped form a startup that has since taken off, and I still participate on their board of directors. I learned, and continue to learn, boatloads from my participation in that company. And the practicum was simply phenomenal and continues to pay enormous dividends to this day, both from the connections made and the experience gained there. Simply put, my two semesters in the LLMLE program were worth every penny."